Your tax dollars maintain an extensive network of weather and navigational buoys all along the North Carolina coast, and while you may be very familiar with the benefits of the navigational buoys, others contain weather condition reporting capabilities that are equally valuable. These offshore buoys provide an exceptional source of data to help you plan your next offshore excursion. Don't rely on weather data that was meant for the beaches, look and see what's happening offshore near your favorite spot. 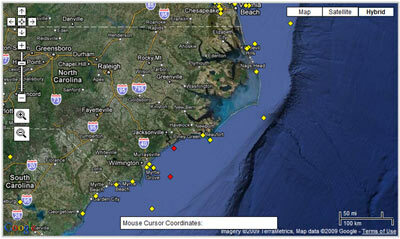 NOAA recently launched a new Google Maps based version of their offshore buoy data, try it now. It's a lot of acronyms but the National Oceanic and Atmospheric Administration's (NOAA) National Data Buoy Center (NDBC) is a part of the National Weather Service (NWS). 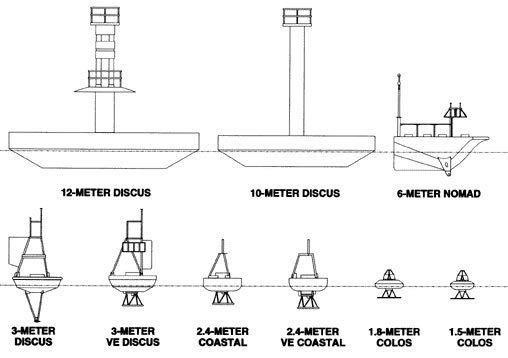 The National Data Buoy Center designs, develops, operates, and maintains a huge network of data collecting buoys and coastal weather stations. The NDBC provides hourly observations from a network of about 90 buoys and 60 Coastal Marine Automated Network (C-MAN) stations. 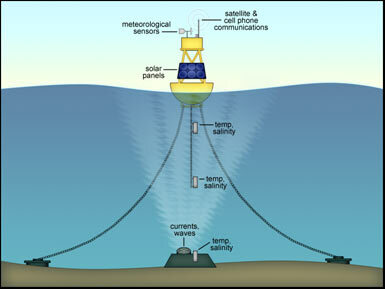 All stations and bouys measure wind speed, direction, and gust; barometric pressure; and air temperature. In addition, all buoy stations, and some C-MAN stations, measure sea surface temperature and wave height and period. Conductivity and water current are also measured at some stations.